A Daily Dose of Fit: There is no better gift than love. It's the Friday before Christmas. I have no doubt that some of you are scrambling to pick up those last-minute gifts, or maybe you have plans to stay up until midnight to wrap all the gifts that have been hiding about your place for weeks. Perhaps you're way ahead of the scramble this year. Wherever you fall in this grand scheme of things, remember one thing: You can't let Christmas go by without gifting yourself something wonderful. This gift I speak of is neither expensive nor material, but it can be worth everything to you. There is no better gift than love, especially when that love is self-directed. Why? So take a minute right this second, right now before the hustle-bustle of the holiday hits. 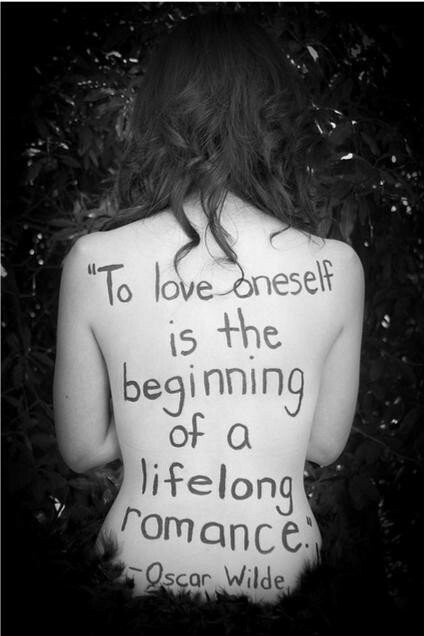 Take a minute to love yourself unconditionally. And as you do, reflect on the year that's almost behind you. What have you given yourself from January until now? Countless hours in the gym? A trimmed down waistline? A marathon? Whatever you've done for yourself, realize that it was for you. Not anyone else. Not the devil on your shoulder as you look in the mirror. Not the skinny girl next to you on the treadmill. You did all that for you because deep down—you truly love yourself. And there's nothing wrong with that. This weekend, as bows fly off boxes and smiles come about because of material gifts...take it all in. Truly enjoy it. And if you don't get everything on your list, or if something someone bought you isn't remotely close to anything you'd ever want, or even if you don't get a single gift—realize that there is no better gift than the love you give yourself. Wrapped up inside your heart, it's a present that can trump all others. Even the really awesome ones. So give yourself some love. Right this second, just do it. And then go finish wrapping those gifts.